Nevertheless, I still get all twisted up. I wish I could say I got it all figured out. I start looking for answers and solutions in the wrong places. I start to believe achievement is accomplished apart from God. Or, maybe I start to believe I need to have it all figured it before He could ever love me. Maybe I began to feel like I need to pursue happiness, but happiness is only an imaginary line in the sand that moves forward the minute you think you have reached it. For example, I’m not feeling happy right now, but I know my joy is complete in Christ. I don’t feel like God loves me, but I know God loved me so much He sent His son to die for me. I feel like a complete failure, but I know Christ will finish the work He has started in me. 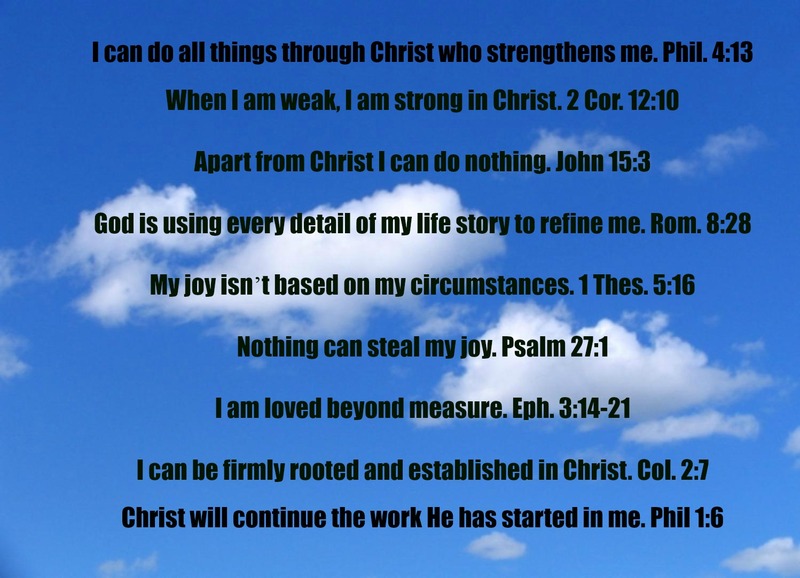 I feel like I can’t do anything right, but I know through Christ I can do all things. Did you know nothing pleases Satan more than to get you in a stuck place where you have no hope or any peace? It’s because when you are stuck you have little to no effectiveness. You become a dweller, a person who hovers over the same spot in life having no impact. I don’t want to live that way, and I don’t believe you do either. The good news is God loves you right where you are. He wants to use every part of your life for His glory. The good, the bad, and the ugly. Join me in standing upon the truth. If we fall, sisters, we will just get back up, rub the dust off, and keep on standing, believing with all of our heart.